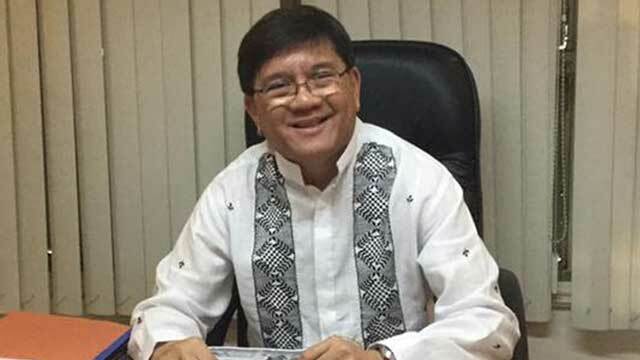 Father Ranhilio Callangan Aquino, the Dean of San Beda Graduate School of Law shared a Facebook post about his "final" stance on the issue of quo warranto. "This is going to be my FINAL post on the Quo Warranto issue. There are other issues that should be taken up, and the exchange is potentially interminable," Fr. Aquino stated. 2. Nowhere in Rule 66 (Rules of Court) on Quo Warranto are impeachable officials excepted. In fact the rule expressly mentions "usurpation of public office" without qualifying "public office". Where the law does not distinguish, we do not. 3. Impeachable officials are in fact subject to quo warranto proceedings as the Rules of the Presidential Electoral Tribunal make clear. 4. Nowhere in Philippine Jurisprudence have impeachable officials ever been excluded from the ambit of quo warranto. 5. Article XI does NOT say that impeachment is the ONLY way of ousting an impeachable official. What it does say is that such an official MAY be removed by impeachment. 6. Conviction following impeachment presupposes that one has been validly appointed and has committed an offense or a series of acts warranting impeachment under Article XI of the Constitution. 7. But if one who lacks the qualifications is appointed, even without committing any impeachable act, then the remedy is quo warranto, otherwise there would no remedy against an unqualified or ineligible appointee. 8. While the SALN issue is an issue raised against the CJ in relation to the impeachment complaint filed by Gadon, it also was raised by the SolGen as a qualification issue, because the Constitution makes "probity and integrity" requirements for appointment to the office of Chief Justice. 9. The CJ herself in a dissent in the Corona Case articulated the position that failure to submit the SALN when this was required was tantamount to lack of integrity. 10. The Senate's jurisdiction was NEVER trumped. Senate has jurisdiction to try an impeachment case only when Articles of Impeachment have been filed. So far, no article of impeachment has been filed by the House of Representatives. 11. Furthermore, Senate has NO jurisdiction to pass upon a disqualification case. That is a judicial matter left to the courts. 12. I write on the law because I know the law. I have studied the law, earned doctorate degrees in jurisprudence. I teach the law. 13. The argument: Mammals have two eyes. Reptiles are not mammals. Therefore: Reptiles do not have two eyes is FALLACIOUS. And it is exactly the same argument as: Lawyers know the law (itself a doubtful proposition). Fr. RCA is not a lawyer. Therefore: Fr. RCA does not know the law. 14. I leave it to the Justices of the SC, my colleagues at the Judicial Academy and at San Beda Graduate School of Law to inform the jaundiced about whether I know the law or not -- and how I know it. 15. This debate was never about me. Academically, it is about whether Quo Warranto is available against the CJ or not. How it has turned as an argument against me is a clear sign of the irrationality that some choose to wallow in. 16. Last time I checked, everyone is free to weigh in. And as far as I know, that guarantee has not yet been excised. 17. Academic discussions like these are interesting, and it is the duty of legal academics and legal theorists (not necessarily practicing lawyers) to continue the debate. But for state operations and practical purposes, discussions must somehow end. That is why the Supreme Court is "supreme". 18. Those who denigrate the Supreme Court because they disagree with its decision and proclaim that it can no longer be trusted to do justice should not, as a matter of consistency, turn to it, appeal to it or seek reliefs from it. How many of the learned and honorable Members of the Bar who have slurred the Court are willing to go this far?